Have relatives coming in town? Or maybe you're planning a trip to Nashville with friends. Here, local residents share their picks for the best hotels -- including Nashville's Opryland hotel, downtown Nashville hotels, and pet-friendly hotels in Franklin and Nashville. If you want to enjoy the sights & sounds in Music City without breaking the bank on expensive hotels, start here! Looking for fun things to do in Nashville? We’ve compiled a list of all the best things that you absolutely MUST put on your list when you visit Music City – from where to stay, to where to eat, and what to do while you’re here! I had seen many pictures of the Opryland Hotel and it looks breathtaking just from the photos, but nothing beats seeing this hotel in person! 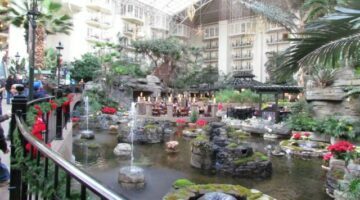 Here are 3 things you absolutely must see when visiting the Opryland Hotel, plus some tips before you go. 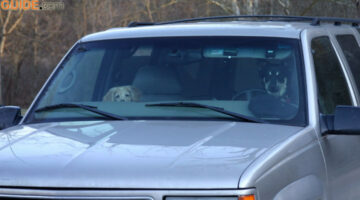 Following is a list of hotels in and around Nashville, Tennessee that allow pets. Most of these have no restrictions as to the size or breed. And only a few charge an additional fee for this pet-friendly option. If ice sculptures are your thing… you’ll love those found at Opryland’s hotel and Country Christmas festivities. And, if you ever have the opportunity to head upstate New York in February, then you’ll want to check out Saranac Lake’s Winter Carnival (near Lake Placid).